But what exactly is a Flavia Zero Waste box™ and why does your office or workspace need one? Every workspace generates a great deal of waste products and this new system developed by TerraCycle® will improve your company’s environment impact by removing waste streams. Each Zero Waste solution is custom built for specific waste streams and adheres to strict environment and shipping regulations. Firstly choose the size box you'd like to purchase. When you receive your box fill it with your used Flavia Sachets. Once full, schedule a collection to send your items back to TerraCycle® using the pre-paid UPS shipping label which is already affixed to your box. 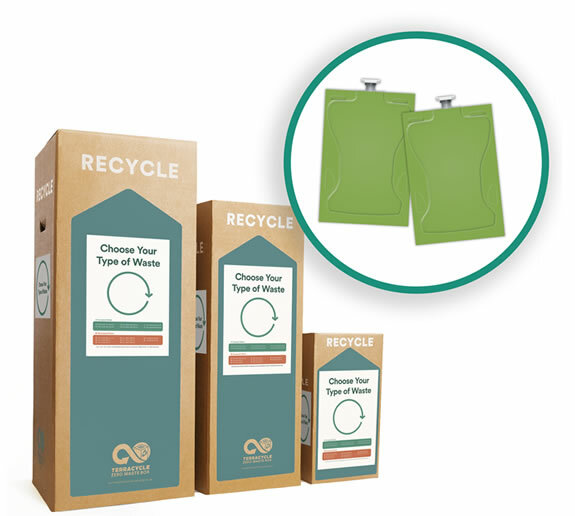 Once received, your sachets will be safely recycled and all of the materials extracted. What happens to the sachet?